I must admit I have been feeling the blues lately. It seems like all heaven and hell have come together to take me down this semester. I take one step forward and I´m pushed two step backward. Nothing has been working out the way it should, both in and outside of the classroom and it is very stressful and frustating. Then I found this article online and it really helped me. now I don´t think I need to see a doctor just yet but it sure helps to know that its not just me. Anonymous asked you: hi, it’s me again. maybe i don’t have depression. maybe i’m just.. deficient in coping with things. i’m not happy with how i’m handling problems- i’m a pro at running away and freaking out later. is a simple thing such as random tears, negative thoughts and inability to handle daily stresses a warning sign big enough for a visit to the doc? i keep thinking and worrying about flunking, about dropping medschool…. The short answer is yes, you are completely justified in seeking help. I need both hands and both feet to count the number of times I’ve seen doctors and counsellors and psychologists because I wanted to drop out of med school, because I felt like I wasn’t coping, and damn it, everyone around me was doing so well. Let’s be honest—med school is hard. I remember sitting in a lecture in second year, watching all the other students around me, and they were in perfect control of med school. They sat through lectures without falling asleep and without panicking about exams in two months and without being afraid of being judged, they took notes studiously and went home to their friends and family and lovers and siblings and maintained healthy relationships and seemingly flawless grades. It felt like I was the only one in a hall of hundreds of students that didn’t know how to make it through med school. I spent an entire semester avoiding lectures and other students and hiding in the library because I thought I was crazy. 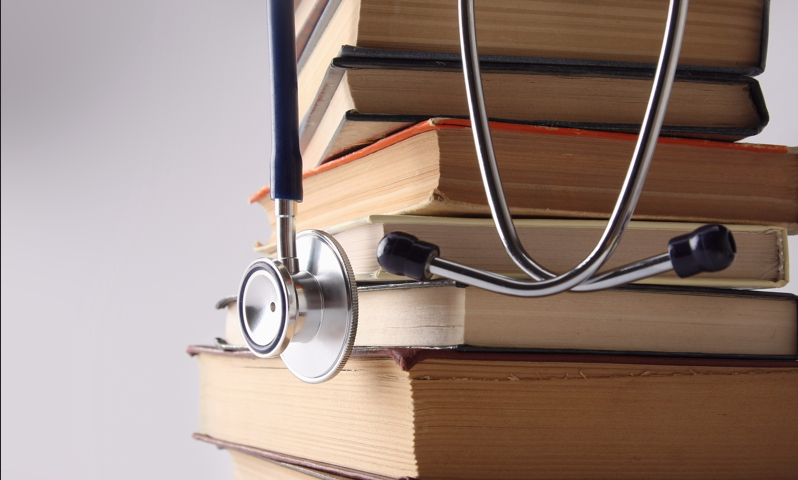 There’s something no one ever tells us about med school, and it’s this: we’re all struggling. I was having coffee with a colleague the other day, and he started to explain to me his struggles with depression, his excessive alcohol intake at the start of med school—and this is someone I’d always looked up to. Someone who, in my opinion, checked all the boxes: intelligent, kind, funny, surrounded by family and friends. And yet, he was someone struggling through med school as well. Very few med students wear their hearts on their sleeves—that’s why I keep this blog somewhat anonymous, because I’m still learning to let myself be vulnerable. I suppose what I’m trying to say is that you’re not alone, and med school has the ability to make us our own worst enemies. But, at the same time, it doesn’t have to be the end of you. You don’t have to try and cope with these thoughts and feelings and fears alone. You, and every other medical student, every other health care student, every other person in general, are entitled to help and to have what’s going on validated. I can’t diagnose you with depression over the internet (or without a qualification of some sort), but whether you meet the criteria or not is irrelevant. You are allowed to seek help. You are allowed to talk to a professional and you are allowed to let them help you. Please don’t struggle alone. Med school has no right to make you feel this way. Take care of yourself and I hope you seek some help—talk to your family doctor or to your university health department. My Life As A Med Student. You will be just fine Nathan. God has sent you on this journey and is preparing you along the way for what it takes to be his hands, eye, ears, heart and brain here on earth to help those that are ill. It is overwhelming at times as I have seen from my own family who have chosen this field. He only picks the strongest and most dedicated and for that reason you have been picked. I pray for you everyday.